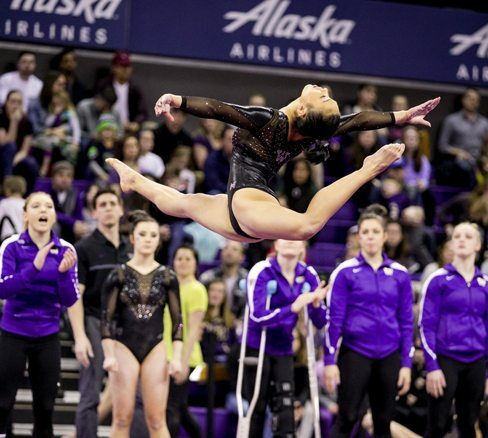 Join the 10.0 Club to show your passion and support for Husky Gymnastics. Your gift provides us with the resources we need to recruit the most talented student-athletes and to ensure they have everything they need to compete at the highest levels. All gifts are tax deductible and qualify you for Tyee Club annual member benefits! – “Home Meet Experience” for up to four people — choose a home meet to watch the team warm up on the competition floor. – “Best seats in the house.” Choose a home meet to sit on the couch right on the competition floor. Learn more how your gift supports Washington Gymnastics.